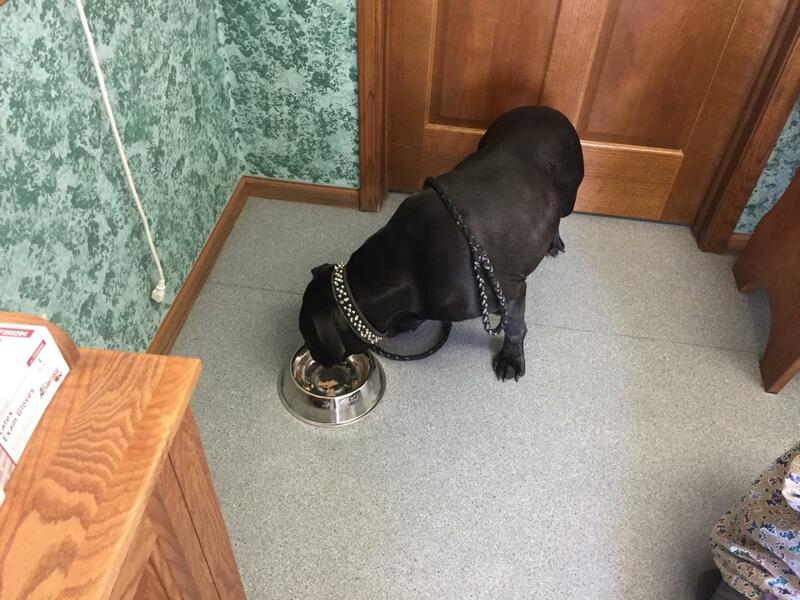 Our case this month is Onyx – a two and a half year old male, neutered Bitbull that came in because of a prolonged history of vomiting and refusal to eat food. His owner had left him with a family member while she was out of town. Onxy refused to eat for several days and then started to vomit. At first she thought it was maybe because she was gone and Onyx was stressed that he wouldn’t eat. But it became obvious that there was something seriously wrong. Onyx wasn’t keeping anything down and the vomiting wouldn’t stop…so he came in to us to figure out what was wrong. Upon presentation, Onyx was severely dehydrated and standing hunched as if he was very uncomfortable in his abdomen. His gums were tacky and his heart rate was elevated. He groaned with discomfort when we tried to feel his abdomen. He also had not passed any stool for days. His symptoms strongly suggested an intestinal obstruction although his owner wasn’t aware of him chewing up and ingesting anything out of the ordinary. As part of a basic workup to try and figure out what was wrong, we did routine blood chemistry analysis and a complete blood count along with abdominal xrays. Onyx blood chemistry results were normal along with his cbc. Abdominal xrays however showed a very abnormal gas pattern in his intestinal tract suggesting a blockage. The immediate plan was to stabilize Onyx with IV fluids and perform exploratory surgery to identify the cause of the blockage. Surgery revealed a hard rubber chunk of a rubber dog toy that onyx had chewed off and swallowed. It had lodged in the small intestine essentially plugging it shut like a clogged drain. The intestine was very dark red and swollen in the region of the obstruction but thankfully there was still blood circulation to the area. The intestine was surgically opened and the object removed. 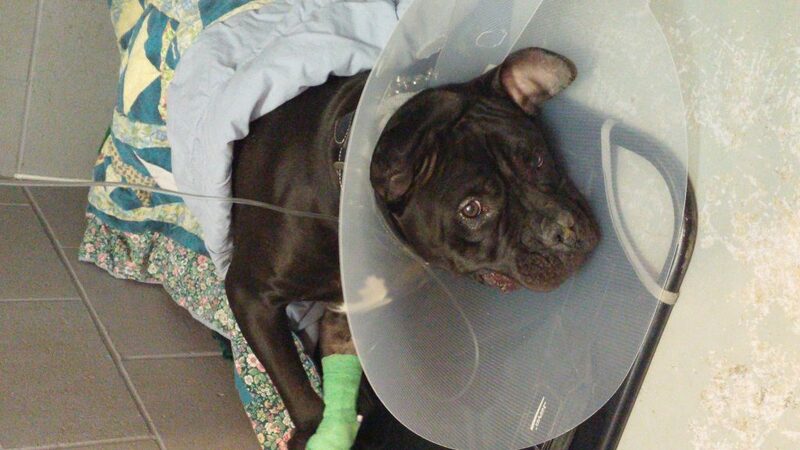 Onyx recovered smoothly from surgery and made a very rapid recovery. By the following morning he was HUNGRY!!! …and he never stopped eating from that moment! He was in for recheck and suture removal last week and is doing AMAZING! Full of energy and ready to give everyone a face wash! The reality is that dogs love to chew up stuff and any toy can be potentially dangerous. It is always best to supervise your pet when they have toys and chews to prevent them from eating foreign objects. Unfortunately dogs will be dogs and these types of things inevitably happen. on the WXRO Morning Show. Tune in at 6:45 a.m.